Small homes really need smart furnishings. 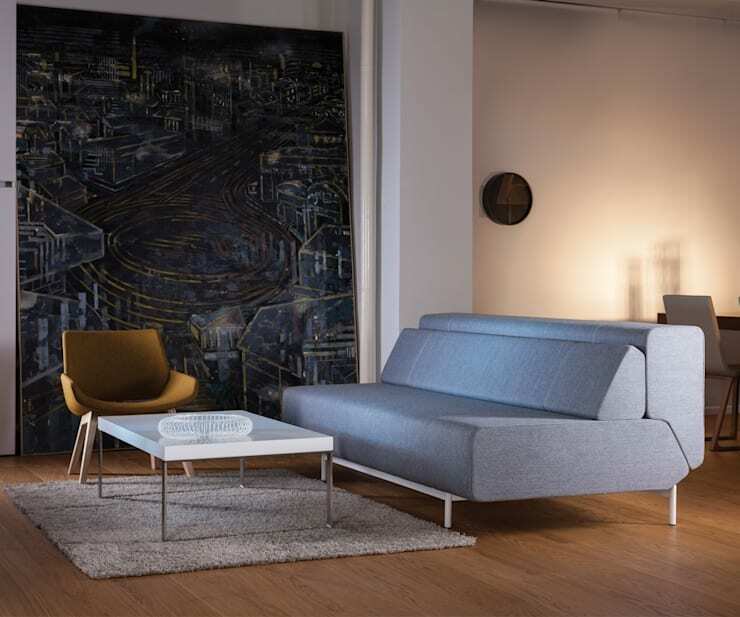 Thankfully, designers have learned to cater to this need by creating a profusion of products designed to meet the particular requirements of compact living. But which of these furniture items really pull their weight in a small home? Because let's face it, the last thing small homes need is excess clutter! Here at homify we spend a great deal of time thinking about small home solutions, so we've come up with the ultimate list of 10 pieces of furniture that every small home needs. Enjoy! 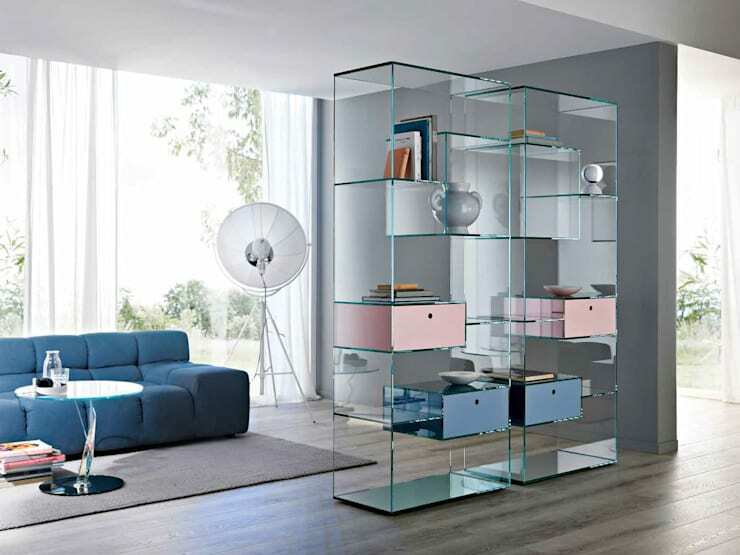 A multifunctional wall cabinet can be used to organise and contain a huge variety of objects in a living room. It might be used as a TV cabinet or function as a pop-out desk. Let's not forget that they also provide lots of storage space. With a combination of closed and open units you might hide away all your clutter and put a few things in display. This could be the stylish centrepiece of a room and home to sentimental items, pieces of artwork and framed pictures. 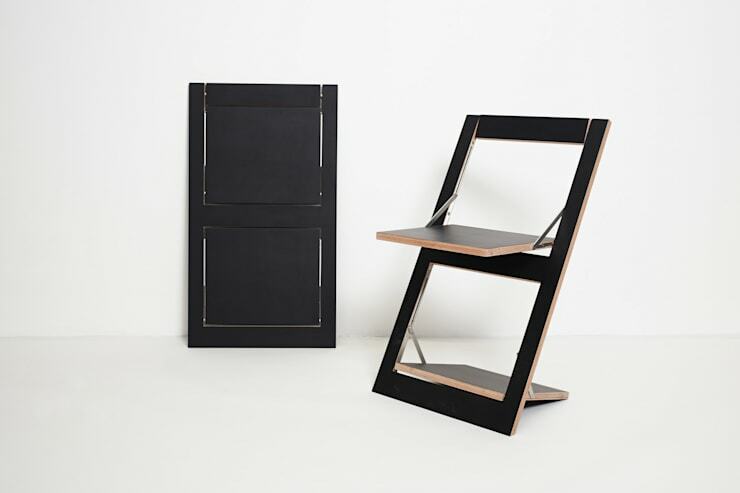 Foldable chairs are a must in any small home. No matter how well organised the home, it's possible to find yourself short of chairs when unexpected guests drop by. Spare chairs tend to take up a lot of space, so units like this are a good choice. They can even be folded flat and tucked out of sight. They are so stylish you might want to put them on display as well. We all know how valuable that space is under the bed. 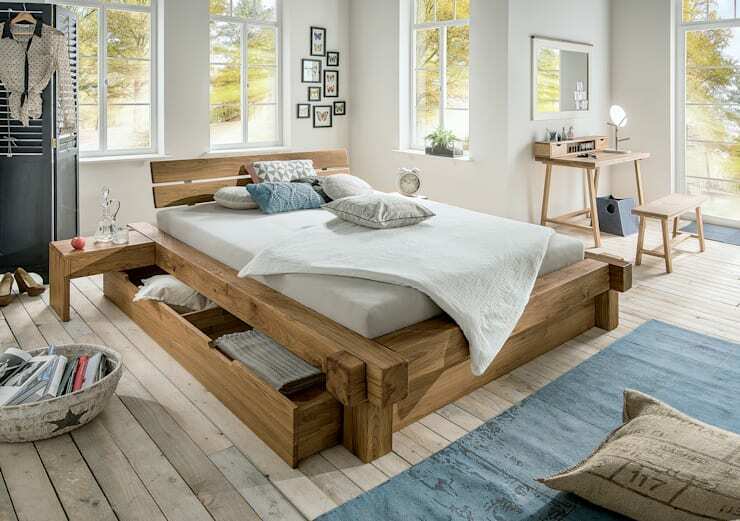 But to really make good use of this space, it's often best to get a bed base with a proper built-in storage cabinet. This will enable you to use those hard to reach corners. It will also help keep spare bed linen clean and free from dust. A stylish sofa bed is a ubiquitous element in many small homes. They may cost a little more than your average sofa, but they are well worth the money. They can be a definite life saver for friends and family. And if you don't want guests to linger too long in your little home - this is clearly a temporary option! It's often a waste of space to have a large or medium sized dining table in a small home. Get a pop-out table instead. While folded it could be shoved against a wall or corner to provide a little dining area. On special occasions, the floor space can be clear, the table folded out and you instantly have a big table for entertaining. Bathroom storage can be tricky to get right. There often isn't enough space for the inevitable accumulation of products and there's nothing worse than rummaging around in base cabinets. Keep the floor area clear and install some wall mounted bathroom shelves. There are a huge variety of options available in online shops. Many of them don't even need to be permanently fixed to the wall. Doorways and entrances tend to get cluttered up with shoes. It's obviously a good thing to keep the inevitable dirt and dust out of your home, but lots of small homes just don't have the space for good shoe storage. Invest in a great, wall-mounted shoe cabinet. It will make life feel pristine and clean from the moment your enter your home! Small homes often need internal partitions or temporary dividing walls. But it's really best to avoid blocking the flow of natural light. See-through shelving units are really a must. They can be used to create different zones in the home and will help keep your small home feeling bright, light and spacious. 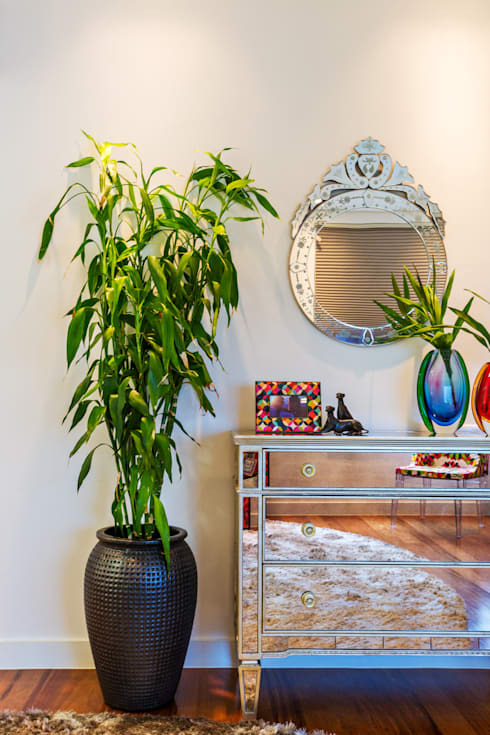 Mirrored furniture sounds like a decadence, but it can have a very powerful impact. This kind of feature will instantly make your home feel twice as big. The secret is to place the furniture in a position that will reflect a pleasing view. But even the simple reflection of some floorboards will make the home appear much bigger. 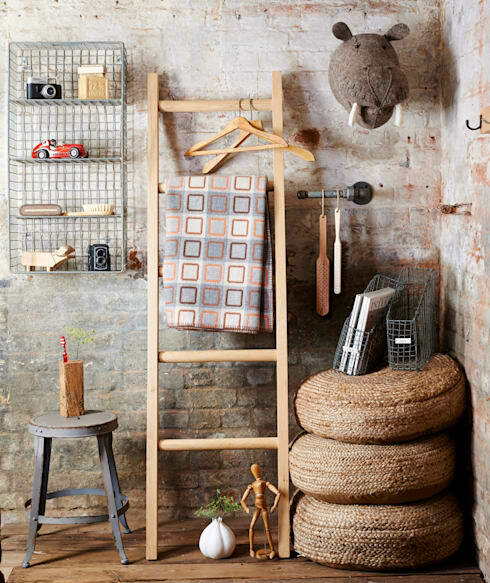 A storage ladder is likely to become a favourite item in a small home. 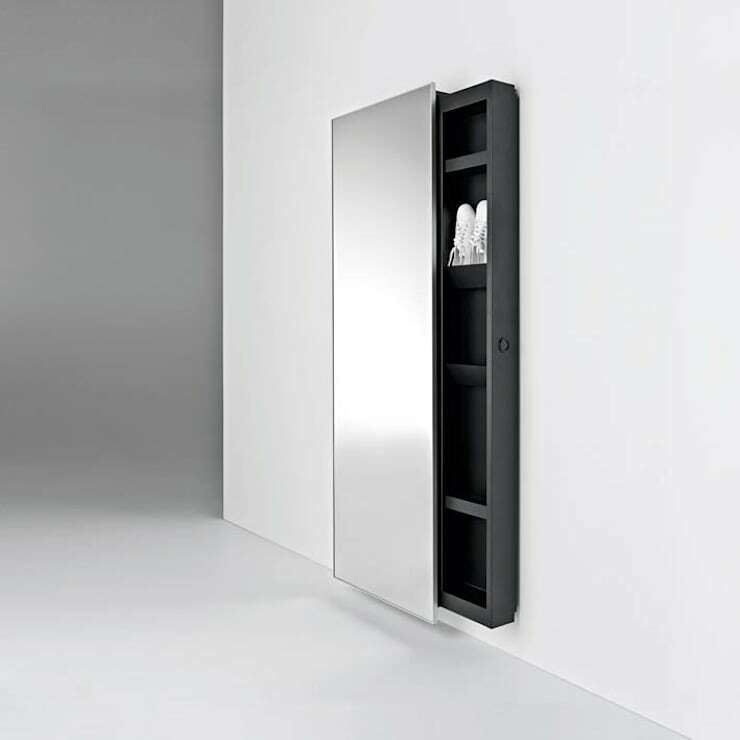 It can be used to store towels, clothes, and even hanging pot-plants. This is a go-to item for those days when you can't be bothered folding clothes or cleaning up as you go. A storage ladder is an absolute MUST! For more small home inspiration, check out: 8 space-saving alternatives to the classic bedside table. Do you have any other tips on furnishing a small home?